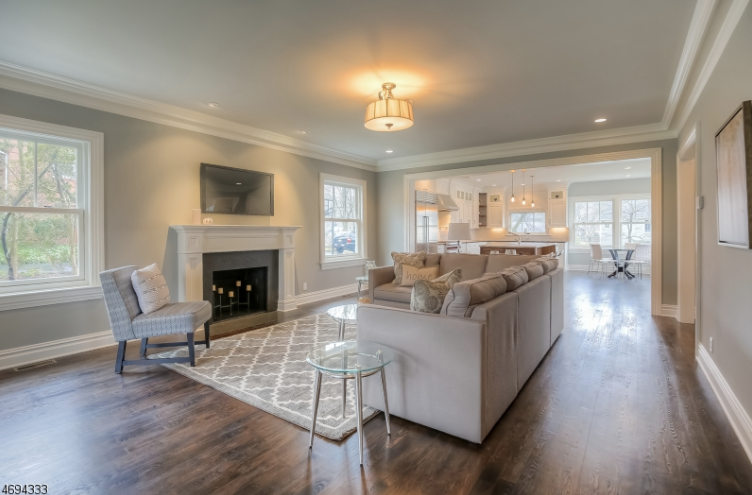 Description: Great value & perfectly staged, this 5 bed, 5.1 bath home was built in 2016 & features superior craftsmanship & high end finishings & is located in the prestigious Hill section of Madison. This custom home showcases four finished levels of living space & a great open floor plan. The eat-in kitchen is a work of art & opens to the large family room with fireplace. The white kitchen has quartz counters & a walnut island with a marble counter. A great butler’s pantry, dining room, office & powder room complete this first floor. The second floor has 4 beds, 3 full baths, a large master suite & a laundry room The third floor has a second family room, full bath & bedroom. The finished basement has a rec room, full bath, laundry room, doggie shower & a 3 car garage. You must see this exquisite home! Description: Custom French Provincial, inspired by the grand country estates of the Loire Valley.Majestically poised on 9 acres, on a private lane.Pool, pool house.Stone chapel dating from 1908.Simply stunning! 3 professionally decorated levels including imported antique artifacts. Magnificent millwork, high ceilings selectively adorned with carved plaster, reclaimed pine & heated Italian marble floors, select Venetian-plaster walls. Dome ceilings in formal LR & DR. Front-to-back foyer, transom covered French windows & doors. 24-ft vaulted great room. Unique fireplaces. Cherry library with coffered ceiling inset with Provincial murals. 1st floor master suite with every amenity. 2nd floor master plus 4 en suite bedrooms & full apartment. Wine cellar, pub, acclaimed theatre seating 11, large office with ext. entry. 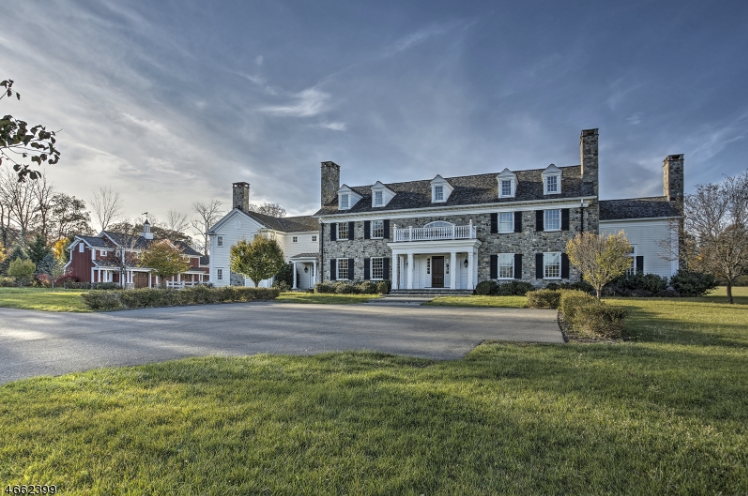 Description: Exceptional Bucks County colonial located at the end of a private lane in a prime New Vernon location. 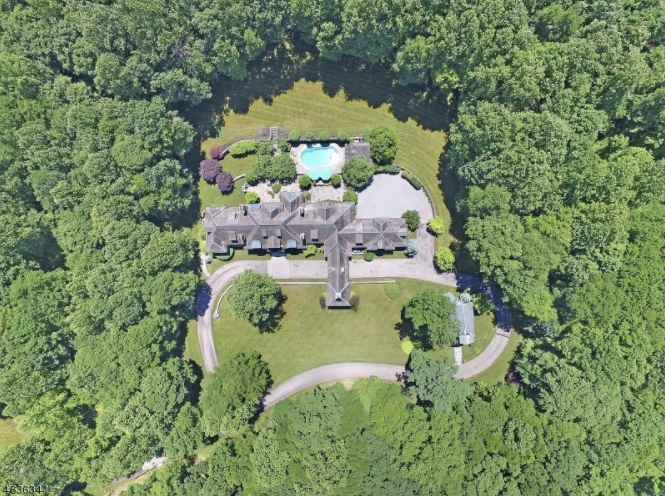 Private and bucolic 7.7 acres. Farmland assessed. Room for pool. Carriage house w/1 bedroom, 1.1 bath apartment; and four additional garage bays. Custom gourmet kitchen, two story library w/cathedral ceiling and fireplace. Master suite w/cathedral ceiling, fireplace w/stone surround, master bath w/marble tops, soaking tub, glass shower, radiant heated flooring. Extensive walk-in closet w/granite island, shoe closet, and custom cabinetry. Sitting room with balcony. Full walk-out lower level w/ 12 foot ceilings, two fireplaces, plumbed for 2.1 baths. 8 bedroom septic system. 7 masonry fireplaces and one gas insert. Private blue stone lanai plumbed for outdoor kitchen.